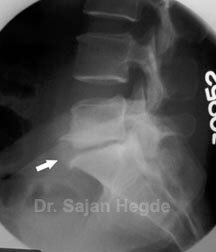 Research and improvement in understanding the spine biomechanics has lead to the development of non-fusion techniques. Most of these techniques are still being evaluated on spine models. 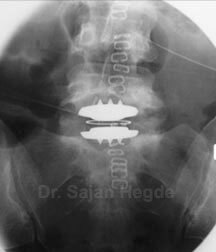 But the technique of Artificial Disc Replacement has now been internationally approved for clinical practice and we have already performed this surgery on a few patients. 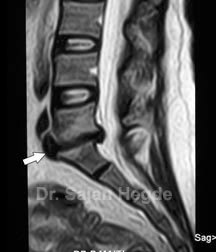 The advantage of this procedure is that it returns back the motion in the affected spinal segment and the patient can lead a near normal life without many limitations. The surgery is done from the front and does not involve bone graft harvesting. 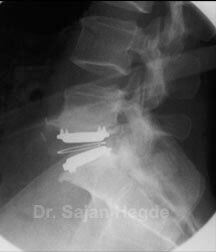 The disc prosthesis is inserted in-between the vertebral bodies after clearing the DDD.